Are you tired of looking at your bland Original Equipment Hubcaps? Is all the paint flaking off? Are they all scratched up and ugly looking? Take a look through our selection of custom hubcaps to see if there is somthing that would dress up your car or truck. Our selection of Premier Series Hubcaps are of the highest quality with the finest attaching systems utilizing spring steel clips with forced ring retention. The Baron Series Hubcaps provide an economical solution to replacing worn out factory original hubcaps. Sometimes you just can't find that one factory OEM hubcap that you need. Thankfully there are aftermarket replicas to choose from. 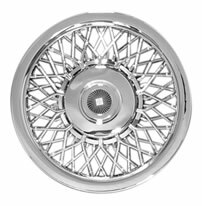 Replica hubcaps are available for many of the most popular vehicles that are out there today. Browse through the Premier and Baron Series hubcaps to see if we have one for you. We are now selling the Primier Series Wheel Covers direct from our website. 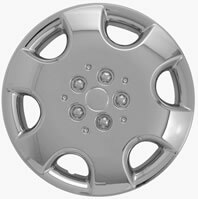 Shop for Hubcaps in our Online Store.